4k00:13timelapse of a wooden shack on beautiful limoni beach in mljet island, croatia with stunning crystal clear water of the adriatic sea. 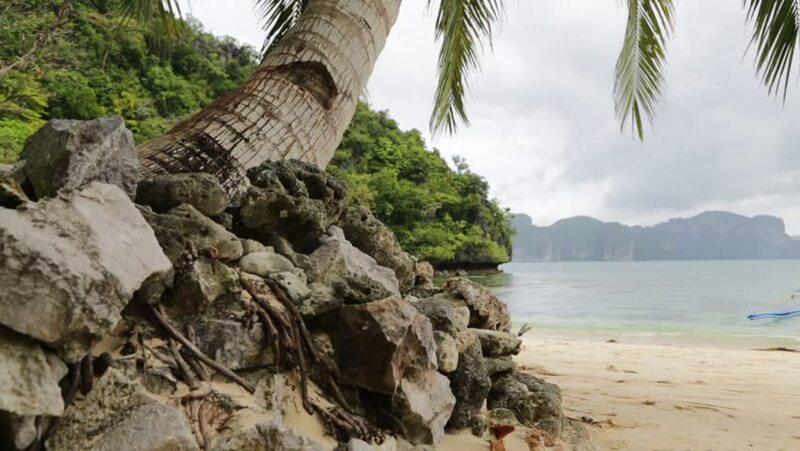 4k00:08Panoramic view of coast of tropical paradise island with thicket of exotic plants, tall palm trees, rocks and sandy beach washed by tranquil ocean. Fantastic nature of tropics. Koh Samui, Thailand. hd00:20Famous Witch Tree on the 17 Mile Drive in Monterey, California.